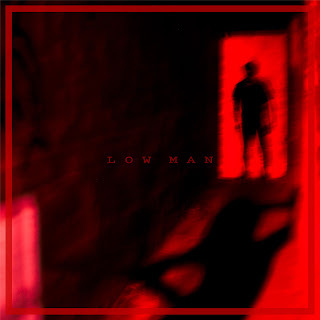 Heavy Planet : Album Review: Low Man - "Low Man"
Album Review: Low Man - "Low Man"
LOW MAN - "Low Man"
Low Man deliver it raw and real, with no pretense, but with plenty of heart and a soul black as the sludge they pump through it's arteries while conjuring up the unseen forces that make their presence known through the massive sound coursing and surging through the fiber network of your dark and conscious being. Low Man are raw, but refined, loud and down low, rough around a myriad of edges, delivering massive, brutal, and unyielding power in their music. Their classification, their genre is . . . they play loud, they play with distortion, they scrape your gums. They craft a melody so good it hardens your arteries and steals your neutrons as it passes through on its way to this galaxy's black hole, where only music this powerfully and artfully executed can make the long, dark, and cold journey, taking you down brief and rapturous moments along the way. The opening track, "Migraine", kicks off the album with perfect tone and intent, full of power and grace, distorted for your listening pleasure. Power vocals bring up the temperature of arterial bloodflow in "Golden Dawn" while "American Literature From 1860" is a bare knuckled turn of the century grudge match, crunching heavily on perfectly synched guitars, huge energetic drums, and bass that cuts a pendulum swath through a pit of depravity. "Pay the Bills" evokes a fast ride in a retro-fitted car barreling down an abandoned road while spewing thick, oily exhaust into the audacious chase car following slowly behind. "Machine" perpetuates the raw, rebellious flagrancy of devil may care lyrics, and a beautifully punchy melody that delivers a powerful uppercut followed by a knockout left punch leaving you dizzy and smiling through your loose bloody teeth.